After waiting patiently for my first order of Tropical Shakeology arrive, I was happy when it showed up on my doorstep this week. I couldn’t wait to mix up my first vegan meal replacement shake! I got the individual packets because so many people wanted samples, there would be hardly any left for me. The new packaging is divine. I opened up the Shakeology Tropical packet and loved the smell from the start. Yum, smelling like strawberries, it drew me in. My first shake I used unsweetened almond milk and frozen strawberries. The shake was so thick I had to eat it with a spoon. I loved the flavor. It was light and fruity, just right. The next day, I blended up a real tropical delight with Shakeology Tropical, unsweetened almond milk, and chunks of frozen pineapple. This shake was not thick, but a thinner consistency. The taste was amazing! That’s all it took, I am hooked on this delicious new vegan formulation. Don’t get me wrong, I still love the chocolate, I just have a new favorite. 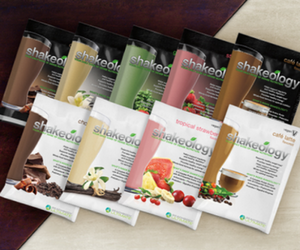 The Shakeology vegan formula also fits in nicely with my recent transition to plant-based eating. I feel much better and have lots more energy. I like the plant-based eating because I believe that the nutrition in these foods can prevent many lifestyle diseases and improve health. Containing plant-based proteins and other ingredients, it’s also 100% dairy and lactose-free. You get 15 grams of protein per serving. The vitamins and minerals in Tropical Strawberry come from whole foods so the amounts vary and are no longer listed on the nutritional label. 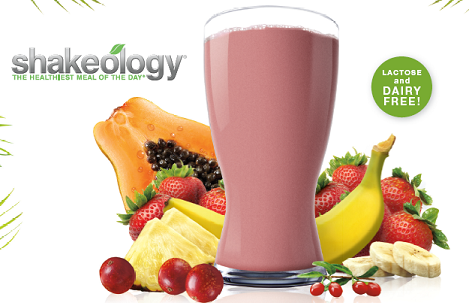 I also love the fact that Tropical Shakeology is easy to digest. 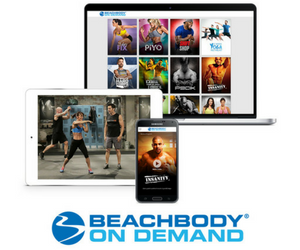 It’s also part of a new brand called “Beachbody Ultimate, which is the start of a new line of whole food products. I highly recommend the new vegan Strawberry flavor!